Mar 18, 2019 Posted by AAfterwit on Mar 18, 2019 | Comments Off on That Left A Mark. George Hollingsworth of Marion, Indiana thought someone had broken into his garage. 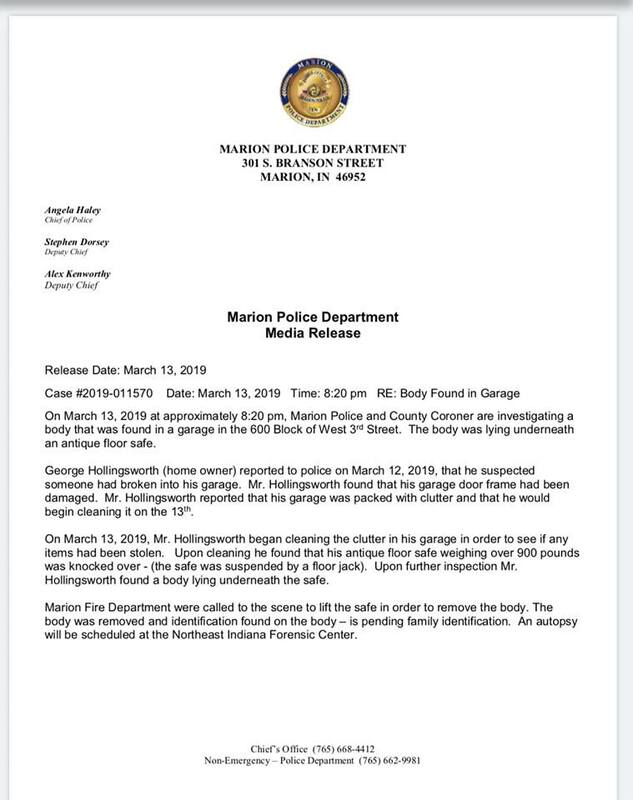 On March 12, 2019 Hollingsworth reported to the police that the frame to his garage was damaged and he felt someone may have broken into building. Because the garage was a cluttered mess, the police didn’t find anything and Hollingsworth could not tell them if anything was missing. On March 13th, Hollingsworth was cleaning the garage when he noticed something was wrong. The body was eventually identified as 28 year old Jeremiah A. Disney. 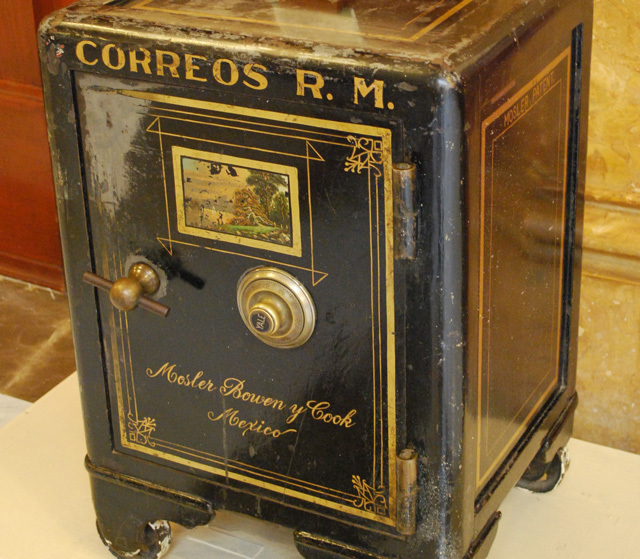 No one is quite sure what happened, but the safe was up on jack stands and probably fell on Disney who was crushed under the weight of the safe. Hollingsworth was appalled at what had happened. The Marion Police issued a statement on the incident. A criminal dies because he wanted to steal someone else’s belongings but in the process, he is now eligible for a “coveted” Darwin Award.